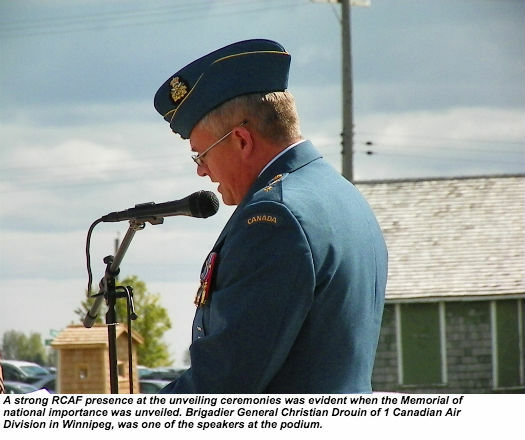 On Sept. 10, 2014 at the Commonwealth Air Training Plan Museum in Brandon, Man., a new memorial named They Grew Not Old, was unveiled to honour RCAF personnel whose lives were lost in the Second World War. Displayed on the 90-meter long monument comprised of 64 black granite panels are the names of 19,000 young people who never returned home. 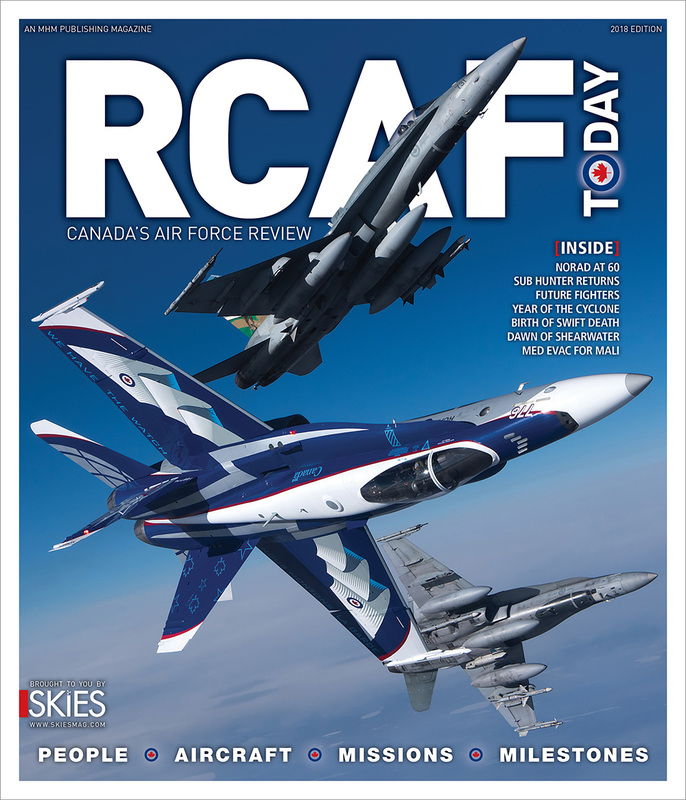 The unveiling coincided with the 75th anniversary of the RCAF entering the war. 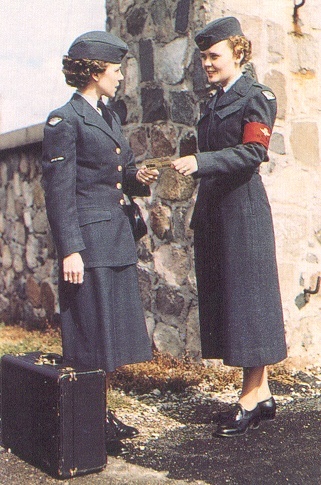 The same names of those who were lost in the war while wearing an RCAF uniform are listed in a 900-page book, They Shall Grow Not Old, which has been published by the Museum. Featured in the Museum are aircraft flown in the British Commonwealth Air Training Plan during the war years, including airworthy Tiger Moth, Harvard, and Cornell. 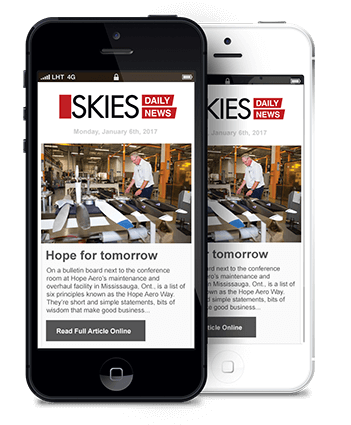 A Crane, a Yale and a Bolingbroke are among the BCATP aircraft on static display. 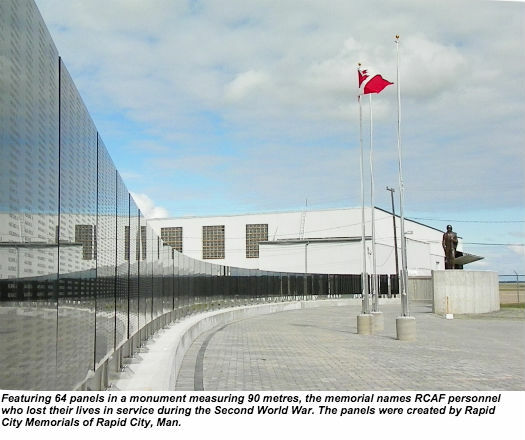 Each panel of names on the memorial was unveiled by someone who had a connection with a name on the panel, accompanied by an RCAF officer. 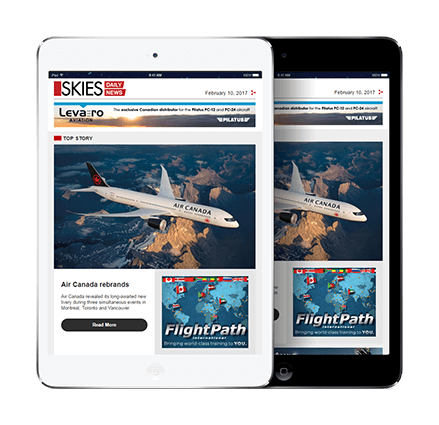 Representing the Air Force with comments from the podium was Brigadier-General Christian Drouin, from 1 Air Division in Winnipeg. 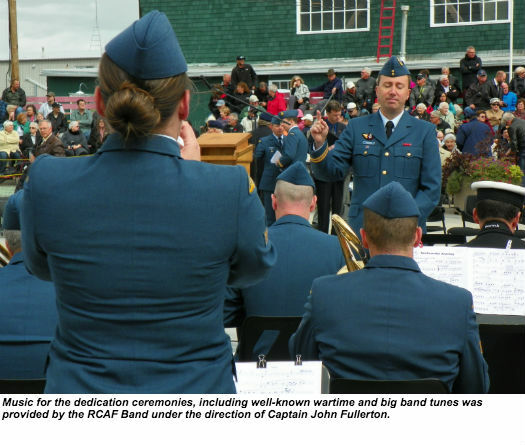 The Winnipeg-based RCAF Band, under the direction of Captain John Fullerton, provided music that included familiar wartime tunes. Other speakers included the Museum’s executive director, Stephen Hayter, Brandon Mayor Shari Decter Hirst, local MP Larry Maguire and Manitoba Premier Greg Selinger. 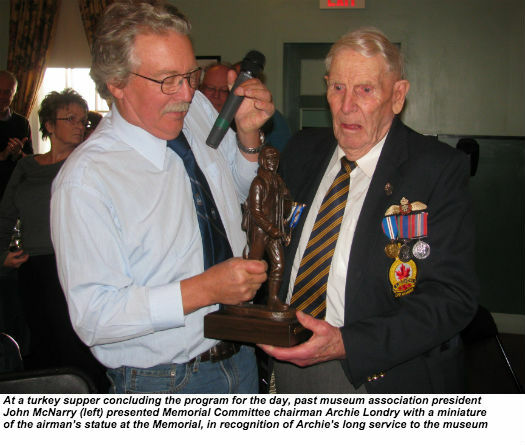 The parade marshal for the event was former Flying Officer Archie Londry, who served as chair of the Monument Committee. One of the founders of the museum, Londry also served as president for nine years, and during the war served in Canada as a flying instructor. 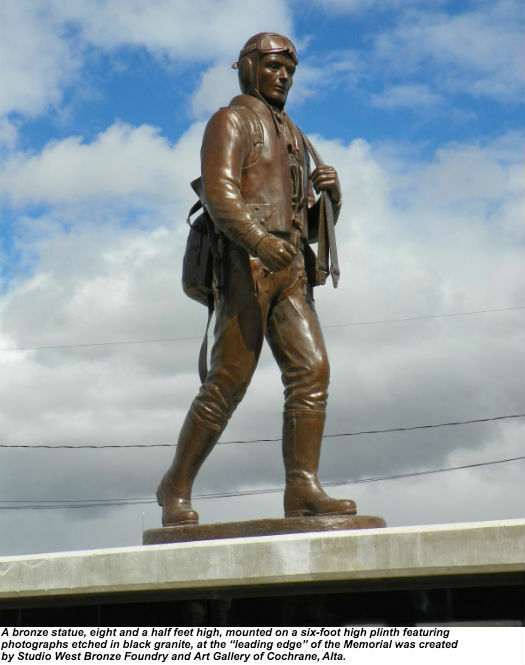 The monument, designed as an airfoil, curves at one end like the leading edge of a wing, and also features a larger than life-size bronze statue of an airman with his parachute, heading out to his aircraft. I look forward and also a welcome improvement to this standard.